Sony Xperia Z is a high-end smartphone designed by Sony, announced in January 2013 and available for release in February. Despite the fact that it may seem like the ideal smartphone, this ingenious device can bring the user a lot of dissatisfaction should it get stuck in some applications or work at an undesirable rate. However, you must note that all problems can go away should you hard reset your Sony Xperia Z to factory soft. This process is extremely easy and efficient. Read the following guide to figure out what you need to do to bring your device to its initial glory. 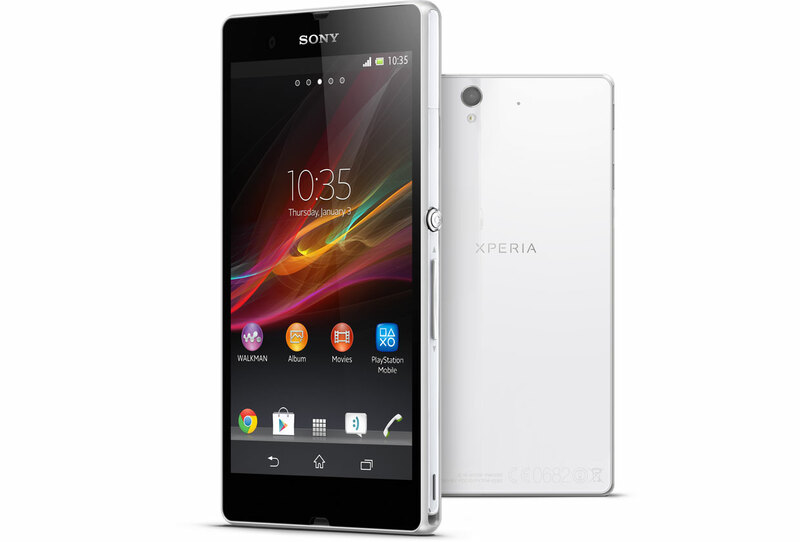 The Xperia Z smartphone comes with 5.00-inch 1080×1920 display powered by 1.5GHz processor and Android OS, v4.1.2 (Jelly Bean) operating system, upgradable to v4.4.4 (KitKat), an internal memory of 16GB (expandable up to 64 GB), 13.1-megapixel rear camera of 4128 x 3096 pixels, autofocus, LED flash, check quality and other features, including touch focus, face detection, HDR, geo-tagging and so on. Furthermore, this great phone has a TFT capacitive touchscreen of 16 M colors which is scratch resistant, thanks to its Sony Mobile BRAVIA Engine 2. Also, it is important to note that this device supports Internet connectivity, comes with Bluetooth, stereo FM Radio with recording, HTML5 Browser and GPRS, EDGE and HSDPA network. As nice as it may sound, the Xperia Z can catch viruses very quickly and, after some time, freeze or get stuck in some applications which, normally, lead to the user’s irritation. However, if you appeal to the above-mentioned software refresh procedure, you can solve even the most complicated problems in less than five minutes. The best way to bring back your phone to its initial settings is to force it to shut down – press and hold the Power key and let it rest for a few seconds. Removing the battery has proven to be efficient. There are three methods to perform a master reset on your device. Make sure your battery is full and go to the Menu. Navigate through Settings, click on ‘Backup and reset’ and tap on ‘Factory data reset’. Click on the ‘Reset phone’ option and tap on ‘Erase everything’. Press and hold together the Volume Up key, the Volume Down key and the Power button for about ten seconds. 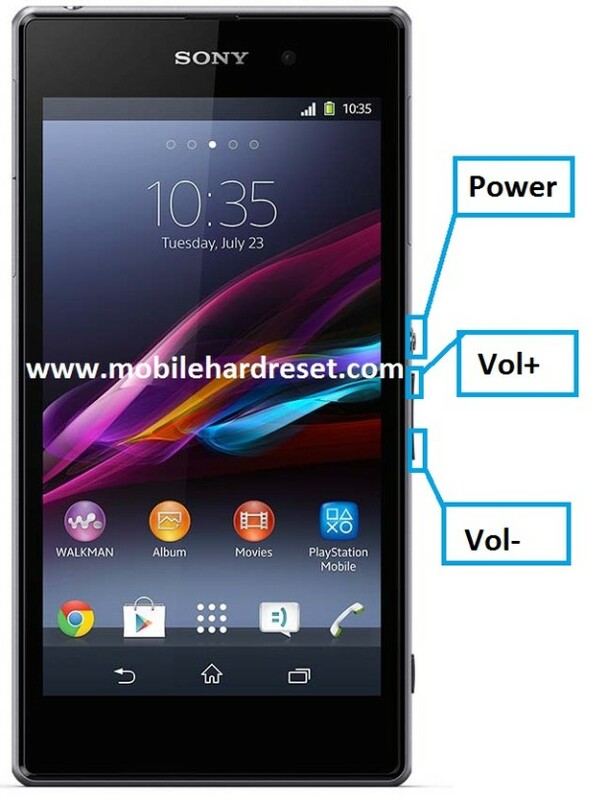 Release the Power key when the Sony Xperia icon appears. When the system recovery mode is on, release all the keys. Use the Volume down button to select the ‘Wipe data/factory reset’ option and press the Power key to confirm. Select ‘Yes- delete all user data’ and press the Power key to confirm. Download the app from the Sony website and install it in your computer following the given instructions. Charge you phone so that it has enough battery and power it off. Boot your phone to flashmode using the Volume Down key and connect the USB cable. Follow the instructions appearing on your PC.